Please give us a call at 1-877-678-6739 to become a wholesale customer. It's free and easy to get started! 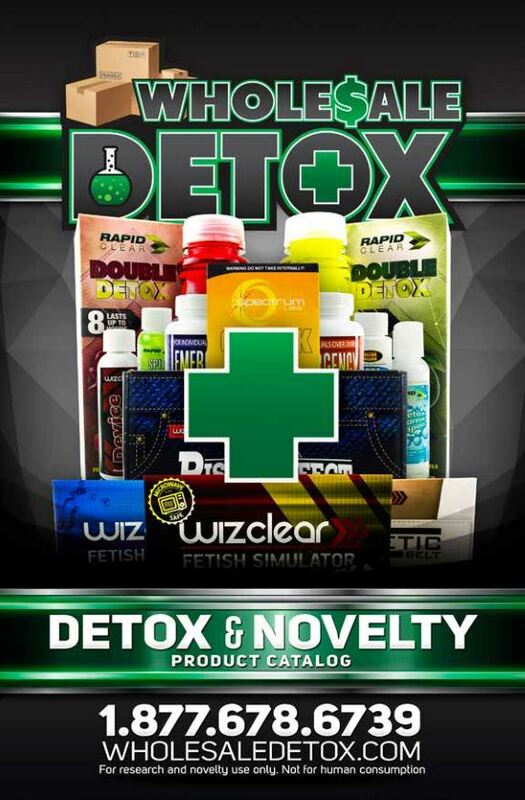 Thinking about carrying detox products in your smoke shop? If your store sells tobacco pipes, rolling papers, blunt wraps or other supplies, your customers need access to the Wholesale Detox line of top quality, laboratory tested body detoxification products. Because customers often find themselves in a time crunch when they need our products, they will often drive many miles to your store just for detox! Give us a call today at 1-877-678-6739 for more information about carrying detox products in your store! All of our detox and testing products are wholesale priced for optimum return on investment. On average, Wholesale Detox products carry a profit of at least $20.00 per unit! Did you know that Wholesale Detox carries the ONLY patented pre-mixed synthetic urine in the world? What good is a few dollars extra profit when your customers come back mad because the products you carry didn't live up to the hype? Click the link below and fill out the following form. A Wholesale Detox Representative will get back with you within 24 hours. The new catalog is now available! Make sure you ask your account sales rep for a copy.